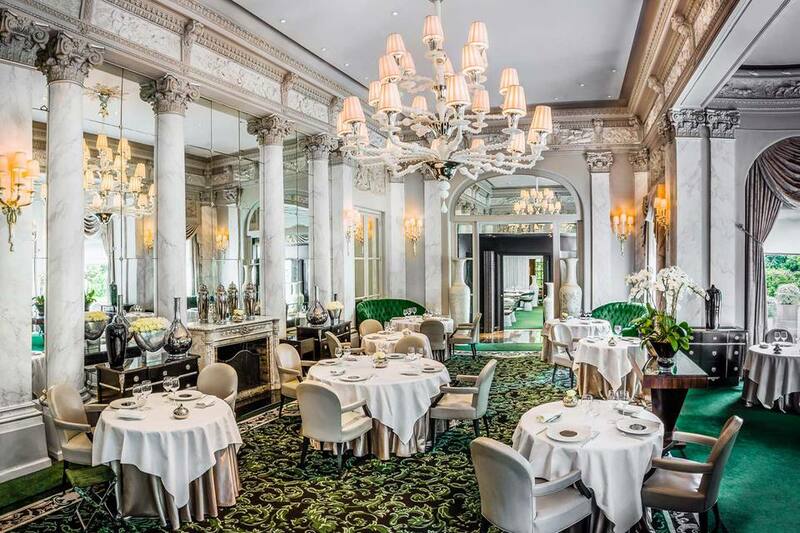 Romantic restaurants are easy enough to come by in the French capital. But homing in on establishments that offer both the ideal ambiance and quality cuisine may be a challenge. Many eateries emphasize soft lighting and music, or go heavy on the flowers, candles, and starchy white tablecloths, but can end up disappointing with bland, mediocre food or bad service. In short: don't assume that it'll be a romantic experience just because it's advertised in those terms. With that caveat in mind, we've put together a thematic list of some of our favorite places in the city for a romantic "tete a tete". These are tried and tested addresses that you can feel good about booking. Provided that you reserve well ahead and avoid overly noisy or crowded establishments, dinner for two is definitely one of the most romantic things to do in Paris. If you're on your honeymoon in Paris, or simply don't mind forking out a pretty penny for a special evening out with your sweetheart, all of the restaurants listed below offer excellent ambience and dining options. Make sure to reserve well ahead at these city institutions to avoid disappointment. This is especially true for occasions such as Valentine's Day. I don't think we have to remind you that you won't be the only couple attempting to snag a table at one of these coveted places! For most of us, spending hundreds of Euros on a single meal is simply not an option. Fret not: there are plenty of places in the city offering remarkable quality and romantic ambiance to boot. If you're visiting the city during Christmas or other national holidays, it can be a bit of a challenge to book a table given that many restaurants close their doors-- but it's certainly not out of the question. As always, I strongly recommend checking availability and making your reservation at least a month or two in advance, or risk disappointment. To find out when restaurants are susceptible to closures, make sure to read up on annual bank holidays in France and Paris. Better yet, inquire directly with the restaurants that interest you and ensure you'll be able to book on your desired dates.